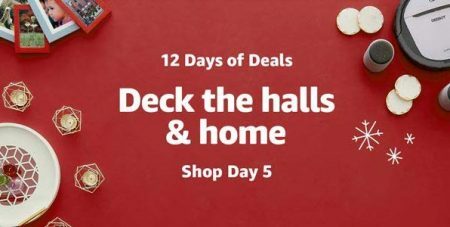 Amazon.ca is having a 12 Days of Deals Sale! They’re going to feature a new deal theme every day from December 2nd through 13th, 2018. If you’re not an Amazon Prime member, you can sign-up for a 30-day free trial of Amazon Prime and get free two-day shipping, plus much more. You can cancel anytime if you don’t like it. I’m an Amazon Prime member and highly recommend it. It costs $79/year, but you save much more then that with all the deals and fast 2-day free shipping. Amazon offers free super saver shipping on orders over $25. Click here to shop Amazon.ca now or for more details.